News & Notes . . .
2018 PSOS Show Winners pictures the winning Blue Ribbon plants with winners names in each entry section of the show. Enjoy the beautiful entries in the 2018 Show Winner document by clicking on the document. 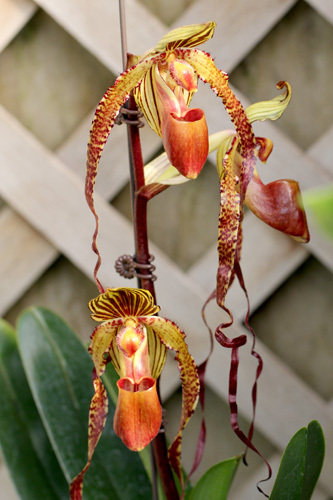 View our latest photos and information on our FaceBook page at Prairie State Orchid Society.